This year’s Bake Sale for Beka (aka Cookies for Crohn’s) was a great success, raising $1,680 for the Crohn’s & Colitis Foundation of America. Wahoo! Great job and high fives to all the bakers, bloggers & bidders who participated! My contribution to this year’s bake sale was these luscious Cherry Almond Shortbread Cookies – so buttery and delicious! My winning bidder was Taryn from the Pacific northwest (Seattle area). To my surprise, she bid a whopping $60.00 for four dozen of my shortbreads. Thank you so much, Taryn! I hope you and your friends and family enjoy them! Now that they’re baked and shipped, I thought I’d share them here so you can make them as well. 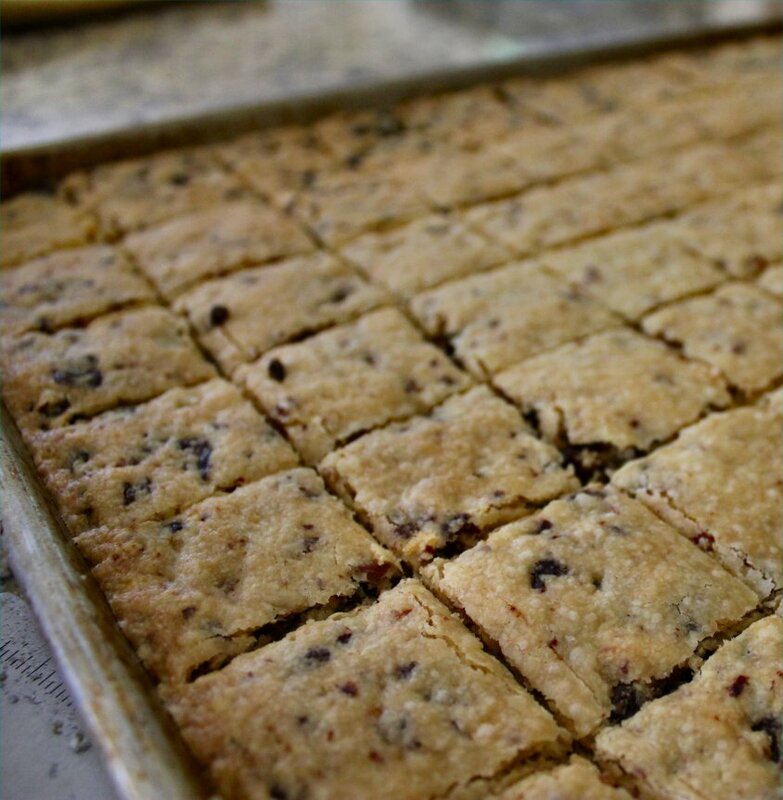 And trust me – if you love buttery shortbread cookies, dried cherries and pecans, you ARE going to want to make them. This recipe has been doubled so that it makes approximately 5 to 6 dozen cookies, depending on how big you cut them. Mine were approximately 1 1/2″ squares and made 6 dozen. Pre-heat your oven to 375F. While your butter is softening, spread the flour, almond meal and almonds onto a silpat or parchment lined baking sheet and toast in the oven for 10-15 minutes, or until the flour just starts to take on some light color and the almonds are fragrant. Remove from the oven and allow to cool to room temperature. Reduce your oven temperature to 325F. In a food processor, combine the dried cherries and cooled almonds. Pulse until both are chopped into small chunks. Don’t pulse too long, or you’ll end up with cherry/almond paste. Set aside. In a mixing bowl, combine the toasted flour and almond meal, the powdered sugar, salt and cherry/almond mixture; whisk to combine. Using a stand mixer with a paddle attachment, beat the softened butter on medium speed until smooth and creamy (2-3 minutes). Reduce the speed to low and add the vanilla and almond extracts, beating just until combined. Slowly add in the dry ingredients and mix until thoroughly combined. 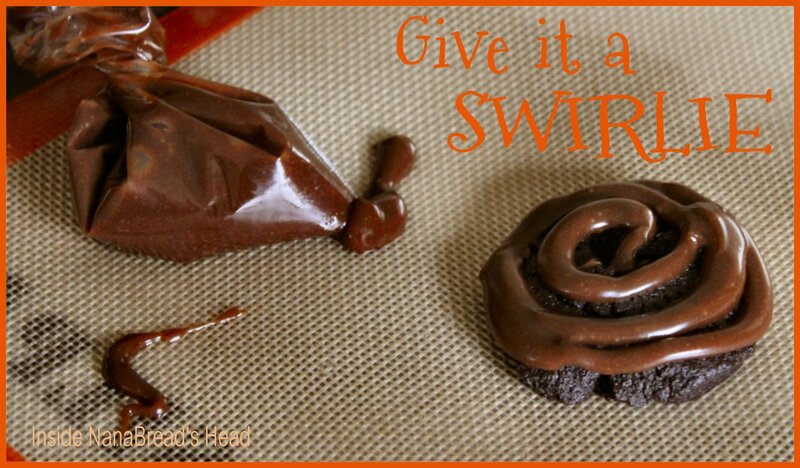 Line a jelly roll pan with parchment or a silpat mat. Scrape the dough onto the pan and with lightly floured fingers or a flat spatula, spread the shortbread dough into the pan, working it all the way out to the corners. To get a nice even layer, place waxed or parchment paper on top of the dough and use a rolling pin. If you don’t have a rolling pin, lay some waxed or parchment paper on top of the cookie dough then top with a second cookie sheet or jelly roll pan and press to form a nice even layer. Peel the paper off and sprinkle lightly with granulated sugar, then pop the pan in the freezer to chill for 20-30 minutes. Once the cookies are scored, place the baking sheet into the oven on the middle rack and bake for 40-45 minutes (time may vary depending on how hot your oven gets – each oven is a little different). When the shortbread is firm to the touch in the middle of the pan and the cookies are a light golden brown, they’re done. Remove from the oven and allow then to cool 15-20 minutes, then use your bench scraper or spatula to re-cut the cookies along your score lines. 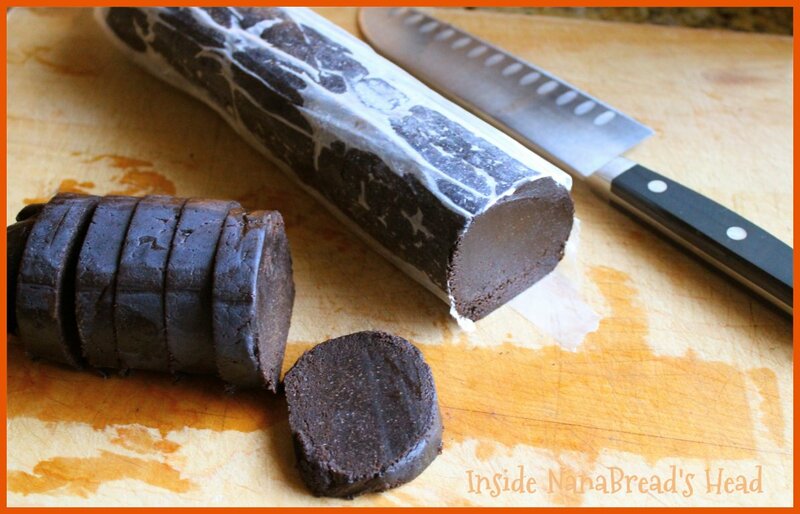 Once they are completely cool, you can remove them from the pan and layer them with parchment or waxed paper into an air-tight container. These will stay fresh for about 2 weeks at room temperature, or up to one month in your fridge. Love chocolate? Then why not dip them? For that first Bake Sale glamour shot, I dipped a few cookies in dark chocolate. For Taryn, my winning bake sale bidder, I created a variety pack of white, milk and dark chocolate dipped (1 dozen ea.) as well as one dozen plain so she could enjoy them in their pure just-baked form. Have mercy – the dark chocolate coated are my personal favorite. What a winning combo! Now I just have to hope they make it to the west coast without all that gorgeous Guittard chocolate melting. I packed them in an insulated lunch cooler with those blue ice freezer packs, so keep your fingers crossed. Note to Self: Next year, don’t dip anything in chocolate. It’s summer, dummy. It’s time! Bake Sale for Beka time! Update: The Bake Sale for Beka is now closed. I’d like to thank Taryn L. from the Seattle area for placing the winning bid on my Cherry Almond Shortbread Cookies – a whopping $60! This year’s Bake Sale raised almost $1,700 for the Crohn’s & Colitis Foundation of America. Unbelievable, and completely impossible without the support of our friends, family and bake sale bidders. So thank you from the bottom of my heart for helping us help Beka reach her goal! We’ve waited so patiently and it’s finally here! 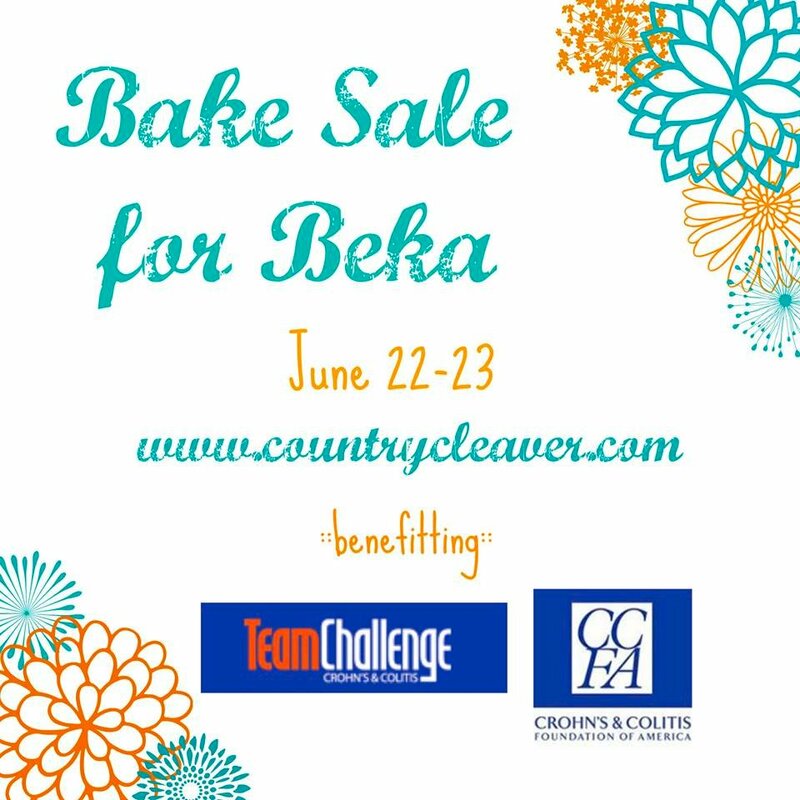 The Bake Sale for Beka, also known as Cookies for Crohn’s, kicks off this morning and I’m so excited to be participating! As I mentioned earlier, I’m donating four dozen Cherry Almond Shortbread Cookies dipped in chocolate. What kind of chocolate, you ask? Well, whatever chocolate the winning bidder chooses, of course! Win my cookies, and you can pick whichever rich Guittard chocolate enrobes them – white, milk or dark. But wait, did you just say you’d pick all three? Well then, place the winning bid on my cookies and tell them you’d like them as a ‘variety pack’ and that’s exactly what you’ll get! I’ll stop at nothing to raise more money for Beka and the Crohn’s & Colitis Foundation of America! 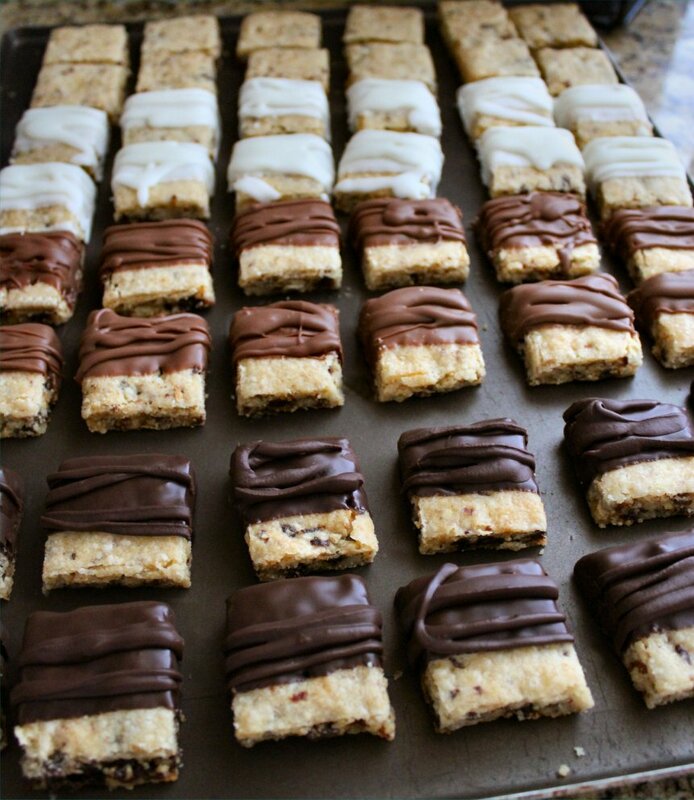 To recap – that’s four dozen handmade shortbread cookies chock full of toasted almonds, dried Michigan cherries and real butter, dipped in the chocolate of your choice. Heck, I may even throw in a jar of homemade jam for the lucky winner. It’s insanity! So what are you waiting for? Go bid on these beauties! To browse the mouth-watering line-up of goodies donated by 35+ food bloggers from across America, visit our hostess with the mostess – Megan at www.countrycleaver.com. Her Bake Sale for Beka post outlines the on-line bidding guidelines and instructions you need to make sure a box of baked goods arrives on YOUR doorstep. You do want fresh-baked cookies on your doorstep, right? So let’s DO this and help put Crohn’s & Colitis in our rear-view mirror. It’s early Thursday morning and I desperately need coffee. So while I’m making a cup, feel free to browse a few random things that came up this week. My friend Megan from Country Cleaver is hosting this amazing on-line bake sale benefitting the Crohn’s & Colitis Foundation of America for the second year running. 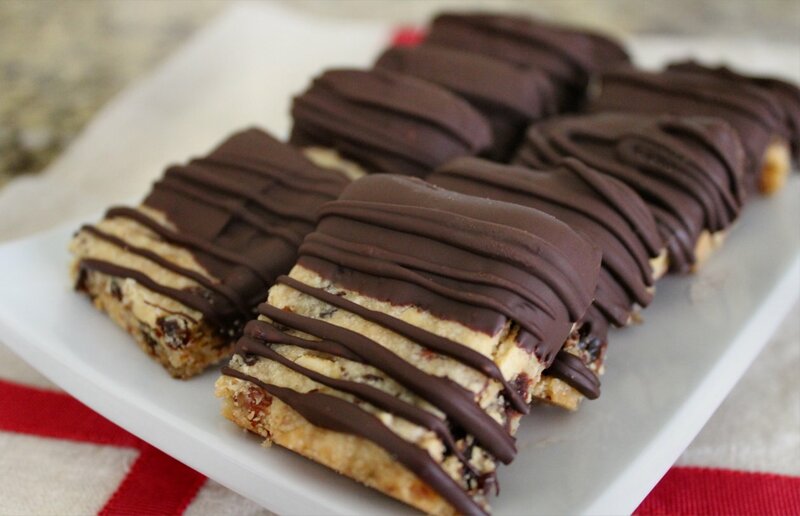 I’m participating again by baking four dozen of these Cherry Almond Shortbread Cookies dipped in dark Guittard chocolate. Holy yum! 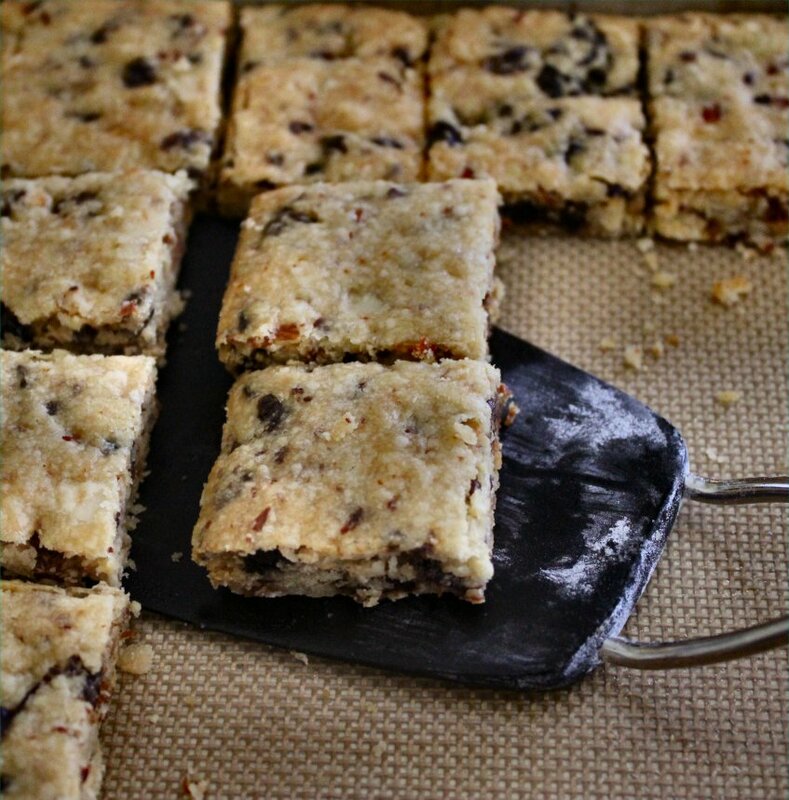 Made with flour & almond meal, dried Michigan cherries, toasted almonds & real butter these shortbread cookies stand on their own without any chocolate. But what fun is that? 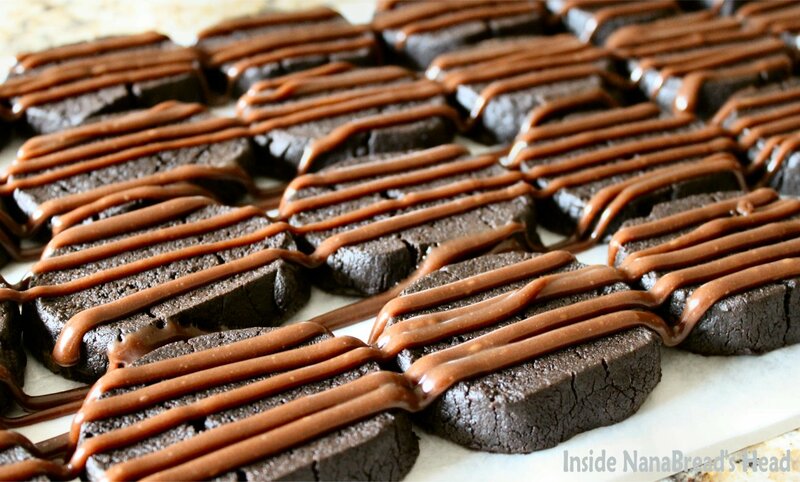 Seriously, when things can be dipped in dark chocolate, they absolutely should be. If these beauties have captivated you, you can bid on them! If you win, I’ll ship 4 dozen directly to your home, dipped in whichever type of chocolate you prefer – white, milk or dark. Winner’s choice. To bid or browse the other selections generously donated by a plethora of fabulous food bloggers go to Megan’s website THIS SATURDAY, JUNE 22, 2013. That’s right, folks… this is a one day on-line auction benefiting the Crohn’s & Colitis Foundation and celebrating Beka’s first half-marathon for the cure. For the record, on a scale of 1 to 10, Beka is a 15 kind of amazing. So mark your calendar and drop in on the Bake Sale for Beka to watch the bidding shenanigans. And if you end up with the winning bid on my cookies, I might just throw in a jar of homemade jelly. It’s been known to happen. 2. 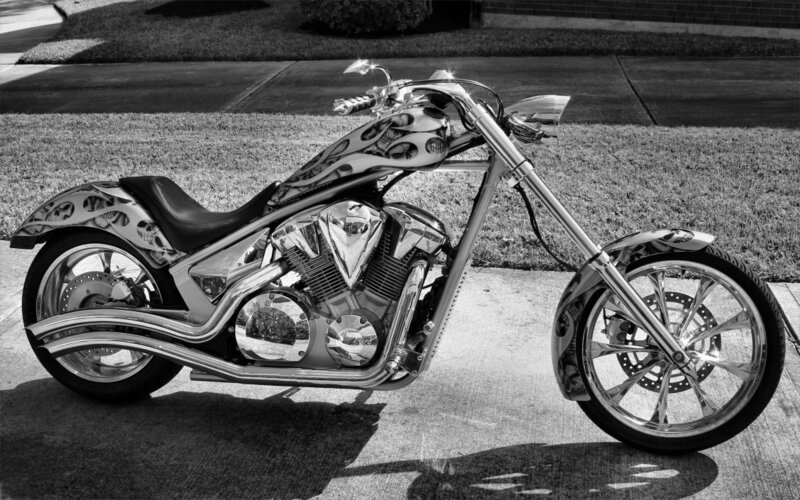 The Complete Package went to the Republic of Texas motorcycle rally in Austin and all we got were photos & disco light sabers. 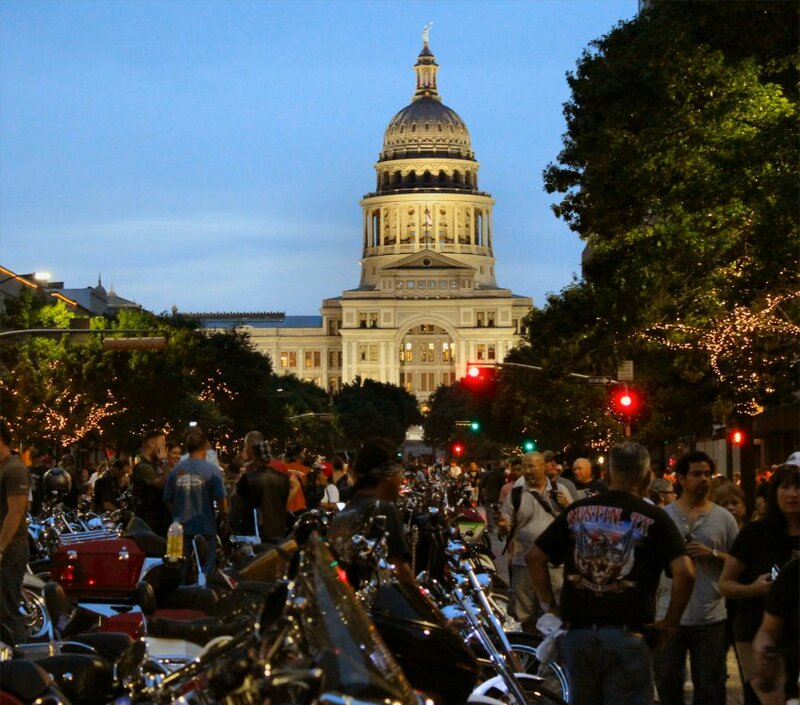 Each year, on Friday evening, participants in the motorcycle rally ride from the Austin fairgrounds into downtown in a bike parade that stretches more than 10 miles. MILES, people. 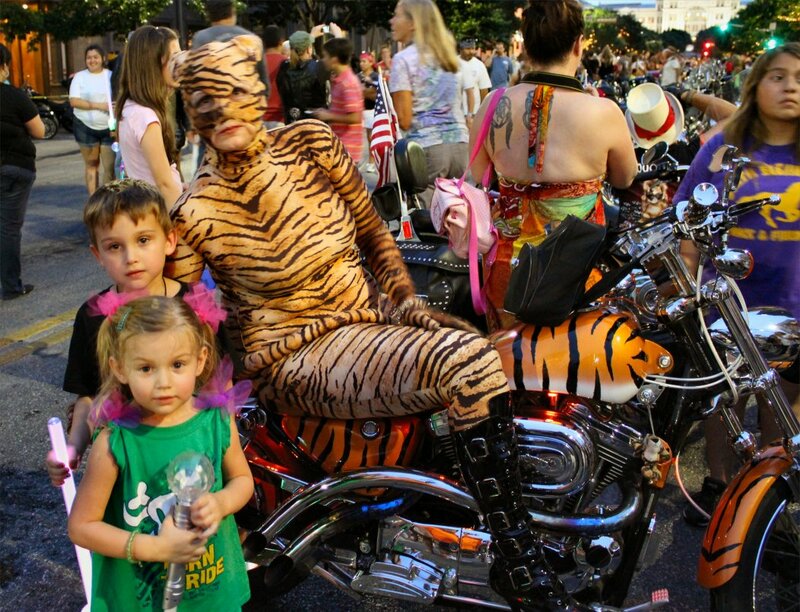 And each year, My Baby and I take the grandkids downtown to watch the parade so they can see their Papi ride in. They get the biggest kick out of seeing him in the parade. It’s his rock star moment. After he gets downtown and parks, we all walk Congress looking at the motorcycles and snapping photos. Here are a few from last Friday night. This first one is of Jonah Bear & Lilly Bug with ‘The Cat Lady’. She’s really popular. 3. 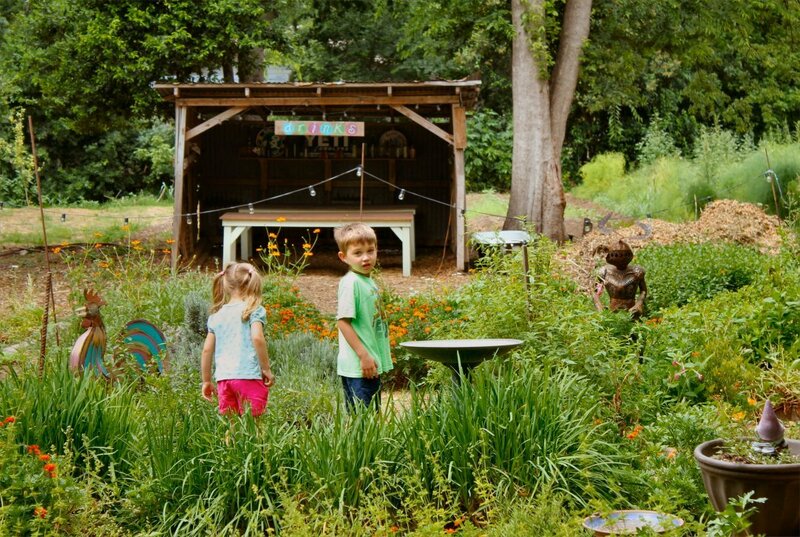 I took the kids back to Springdale Farm. Remember last week when I mentioned I had the privilege of visiting Springdale Farm for the U.S. 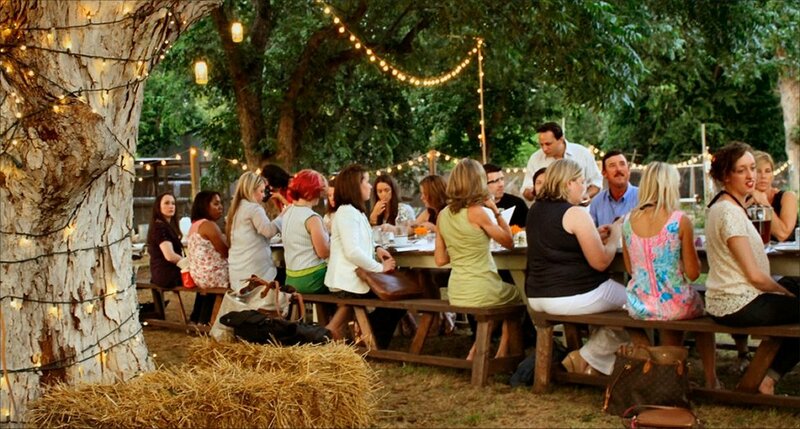 Farmers & Ranchers Alliance dinner as part of the BlogHer Food conference? It was a wonderful, magical night under the stars and trees. I enjoyed it so much I vowed to bring My Baby and the kids for a visit, and last Saturday we did just that. 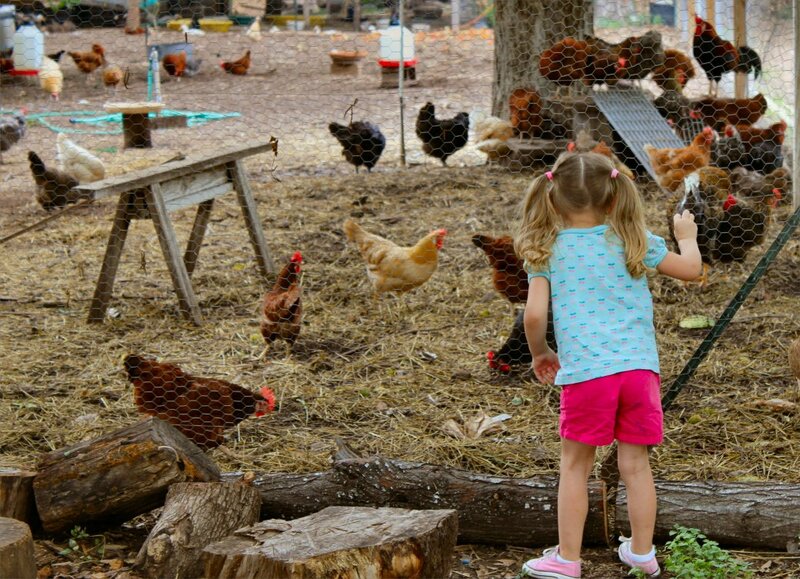 Despite the heat, the kids had a great time and enjoyed walking the farm, spotting fresh vegetables, and picking out some to take home. In case I haven’t been clear in past posts, I L-O-V-E a good farmer’s market or farm stand and Springdale Farm is now one of my favorites. 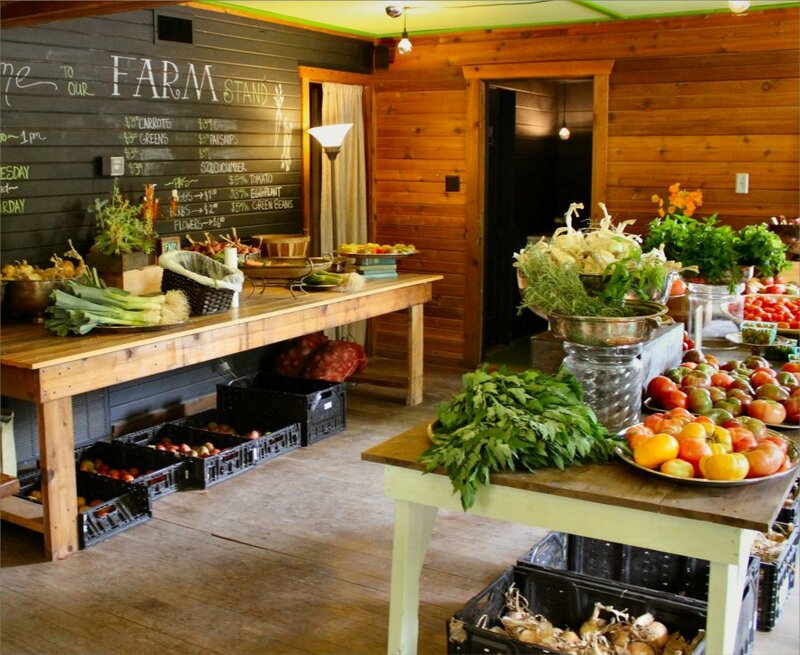 If you’re in Austin, please visit and support a local farmer. Food doesn’t get any fresher. 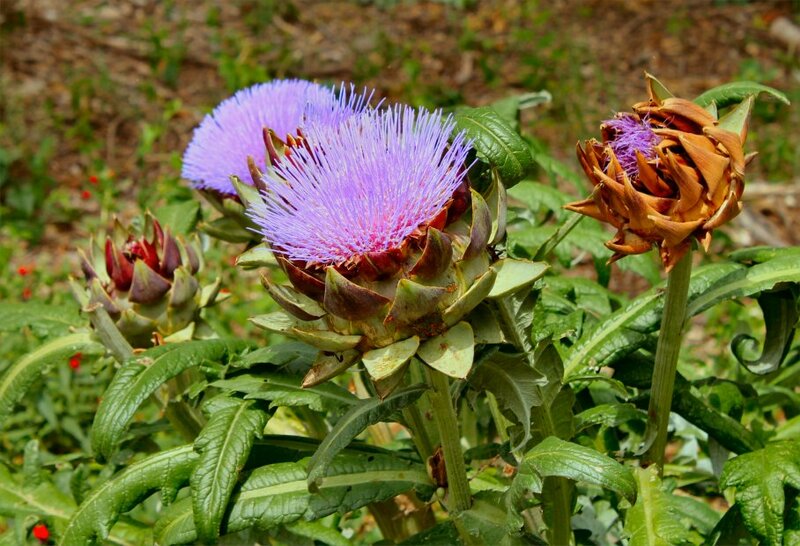 Ever wondered what an artichoke looks like when it’s left to bloom? Well now you know. You’re not going to see that in a grocery store, folks! 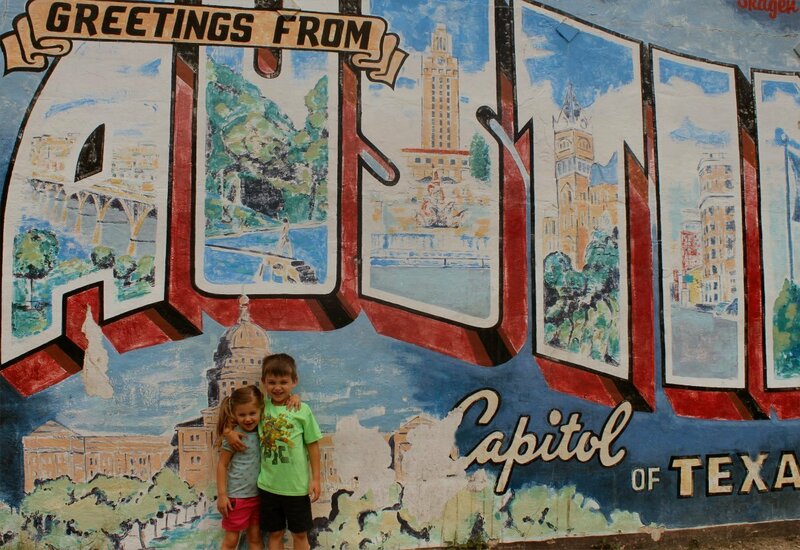 We also attempted to take Jonah & Lilly on a mural hop around Austin. More on that later, but here’s a glimpse of what we did before we died of heat stroke. 4. 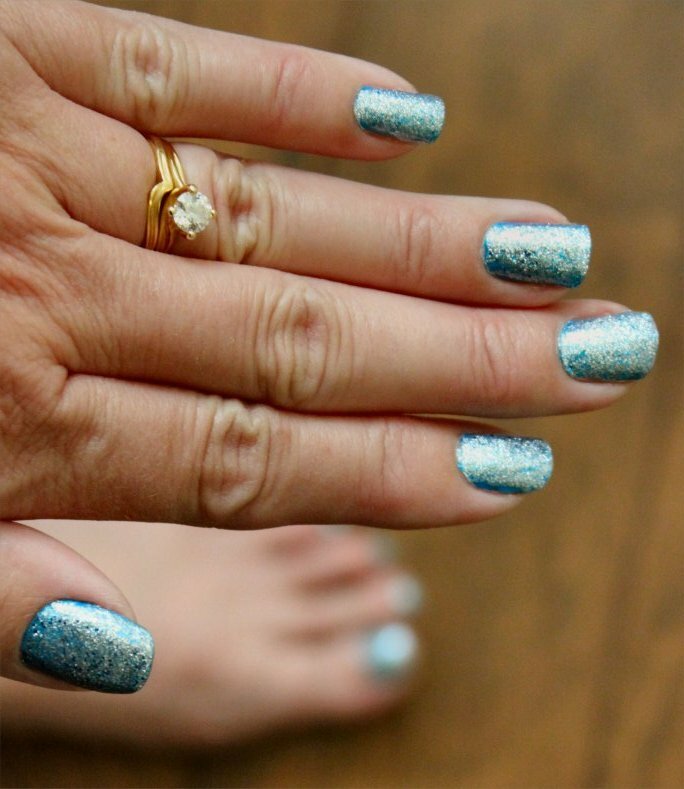 Nothing rocks summer like the glitter polish. It started with pale pink glitter polish over raspberry red and it has now morphed into pale teal glitter over a dark teal base. For a girl who doesn’t usually paint her nails, I’m totally digging the disco glitter. Hello summer! 5. 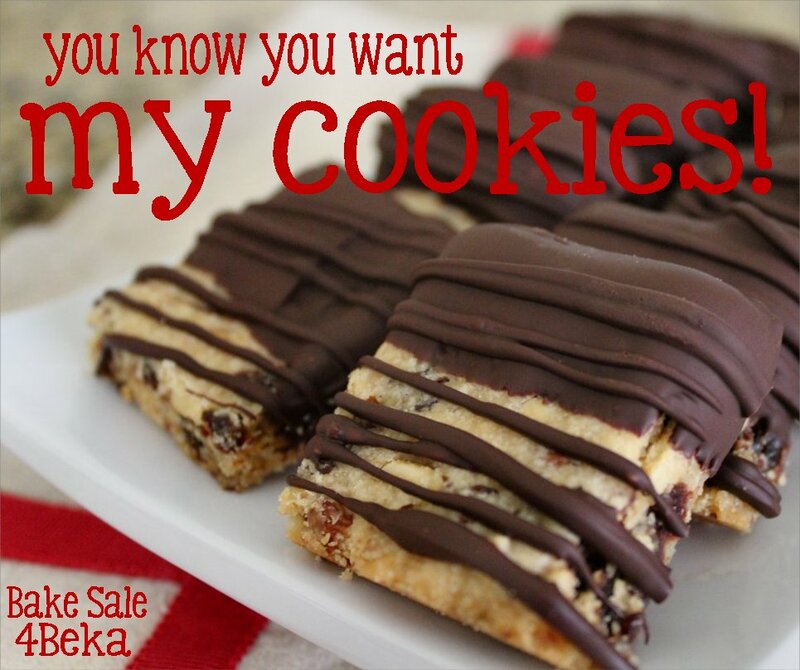 Don’t forget this weekend’s Bake Sale for Beka on-line auction! I mean it, people. Buy my cookies and I’ll make it worth your time & money. We’re talking FOUR DOZEN HANDMADE FROM SCRATCH COOKIES and homemade jam or jelly. If I could ship a puppy, I would. I’m not above bribery. Whatever it takes. Just bid. It’s for a good cause and there are cookbooks & cookies to be had. LOTS of cookies. For a preview, CLICK HERE. It’s a girl & a cornbread! 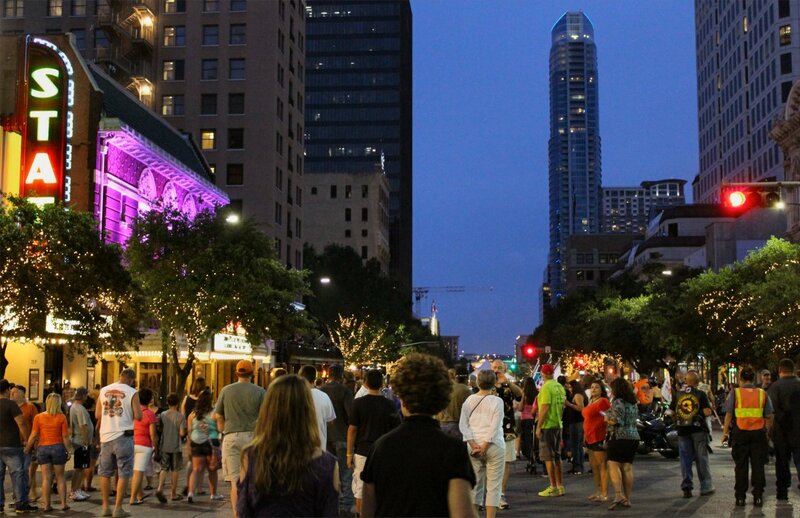 Today I’m guest posting over at Mommy Notes for my friend & fellow Texan, Sarah. We’re celebrating her beautiful new baby girl, grandmotherhood, Mother’s Day and our mutual love of Texas comfort foods. 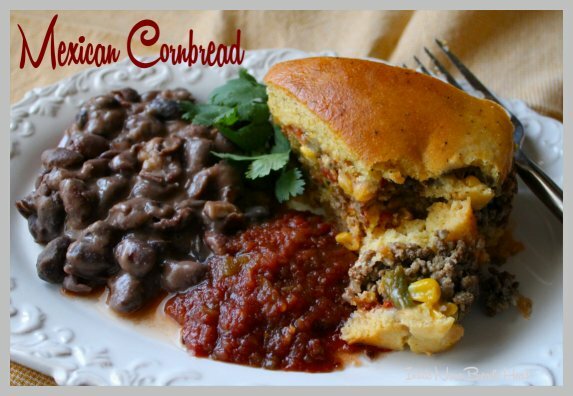 Please drop in to say hello and congratulations, and while you’re at it you can get my mother’s recipe for Mexican Cornbread. Stuffed with ground beef, cheese and green chilies, it’s rib stickin’ and delicious! To see it, click here. Congratulations & hugs, Sarah! Hi – me again; back with more dark chocolate. Forgive me, but I’m on a bender. 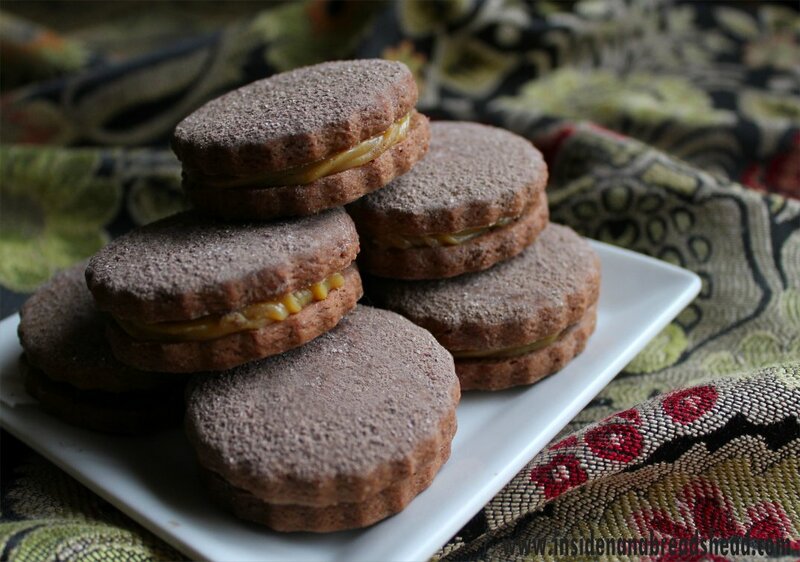 Last week it was flourless peanut butter, Biscoff & dark chocolate cookies. 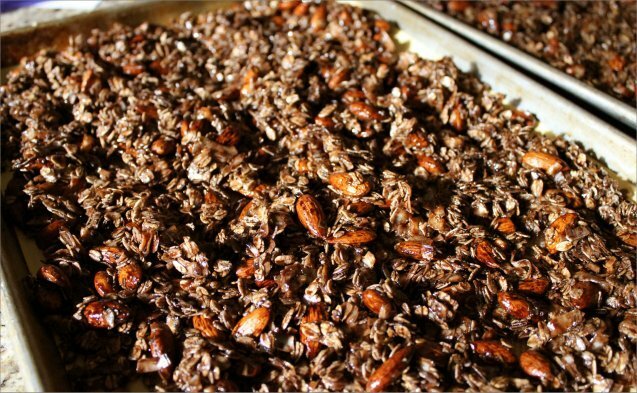 This week it’s dark chocolate, coconut & almond granola, which is at least healthier. Stop laughing! It’s good for you, right? Okay, you be the judge. Start by lining two large baking sheets with parchment or Silpat mats. Spread the oats, almonds and coconut on baking sheets in a thin, even layer and toast at 350F for 10-15 minutes, or until the coconut is golden brown and the oats & nuts are fragrant. Remove from the oven and scrape the oats, almonds & coconut into a large mixing bowl; toss to combine. Spoon the mixture back onto the lined baking sheets and pop them back into the oven (still at 350F) for 15 minutes. Stir or flip the mixture around and bake an additional 15 minutes, for a total baking time of around 30 minutes. It’s done when the edges are toasty and the mixture is only slightly sticky but very fragrant. Remove from the oven and allow to cool completely. Store in airtight containers at room temperature for up to 2 weeks. 1. Nut allergies? 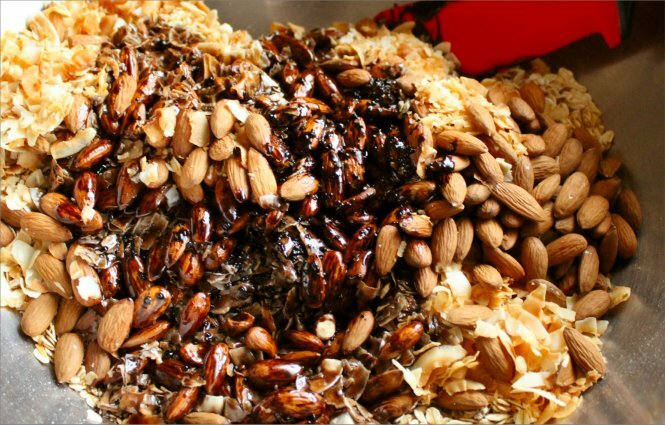 Go Mounds and omit the almonds & almond extract. 2. Not a chocolate fan? 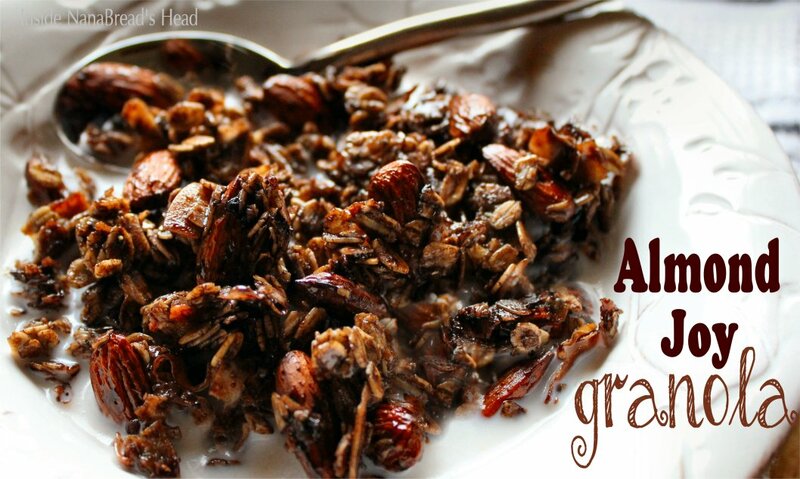 Omit the cocoa and add dried fruit like cranberries or blueberries. Dried apricots & candied ginger would also be a great combination. 3. Grab a straw, because the chocolate almond milk left behind is delicious. 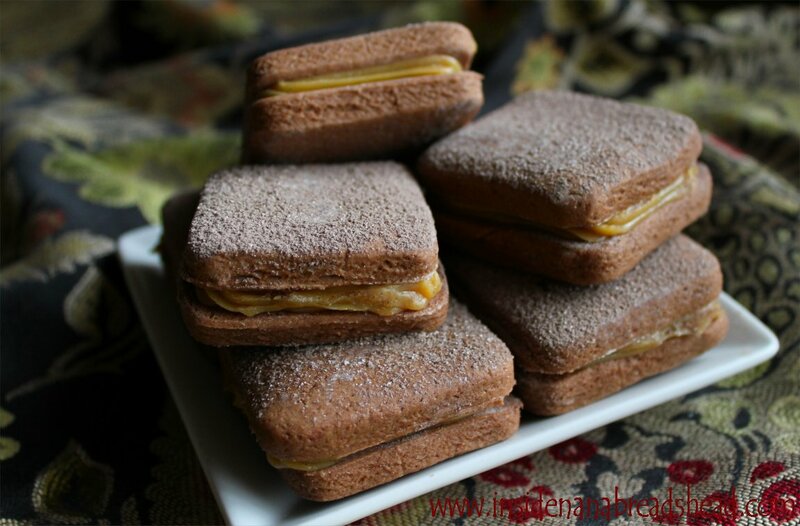 Note: This recipe was adapted from a recipe found on Pinterest which was adapted from the Joy the Baker Cookbook; her version calls for cinnamon & granulated sugar and uses less coconut & nuts. 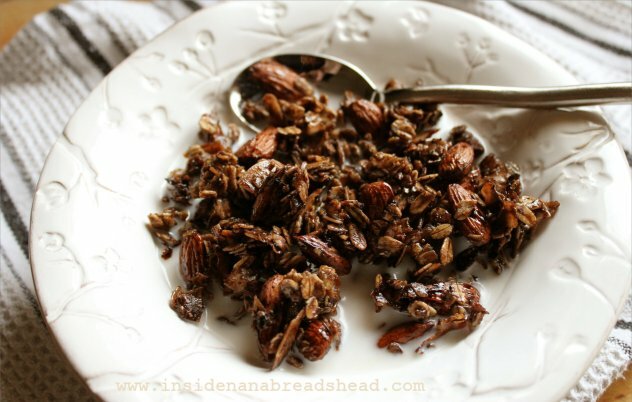 But those are my favorite parts of granola, so I upped the volume of almonds & coconut, substituted agave nectar for the granulated sugar, added almond extract, and doubled the butter. I gotta be me. Try saying that three times fast. It’s a mouthful of title, but it’s also a mouthful of cookie. 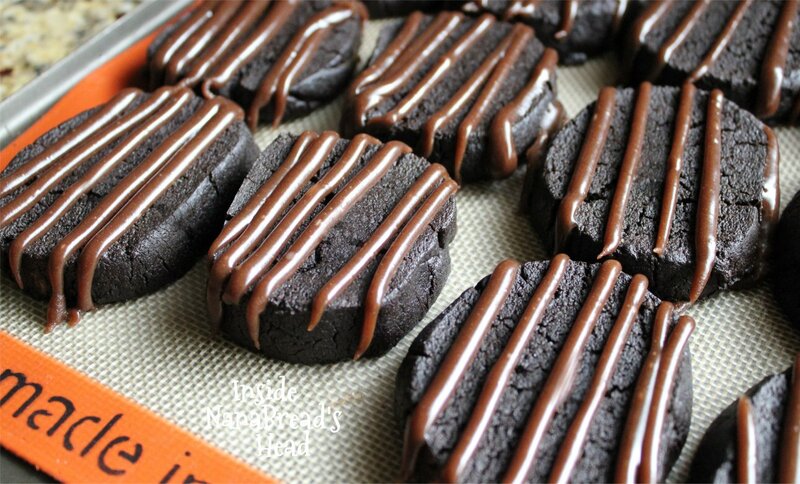 I thought about naming them “Pantry Cleaner Cookies” because that’s what I was doing when I thought of these. I found a half-empty jar of peanut butter and half a jar of Biscoff. Could they be combined? Is that legal? After a quick tweet to my Biscoff guru Megan, I decided to go for it. 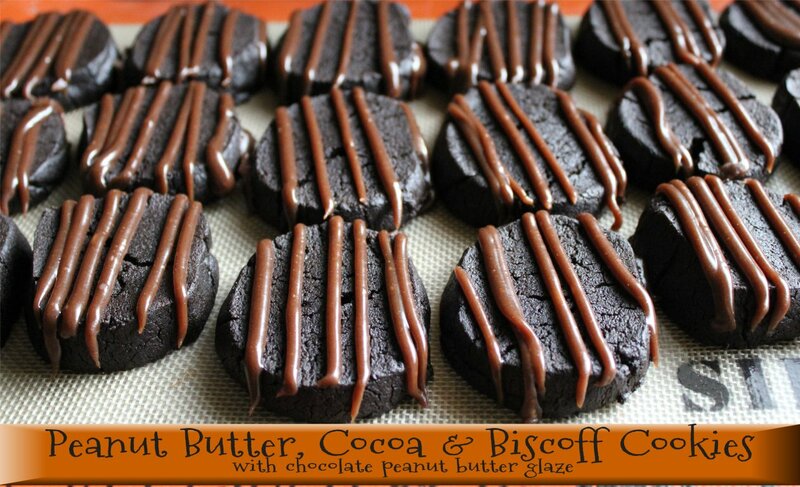 And if you’re going to combine peanut butter with Biscoff, why not throw in some dark chocolate because that’s how my mind works. And because more is… MORE! 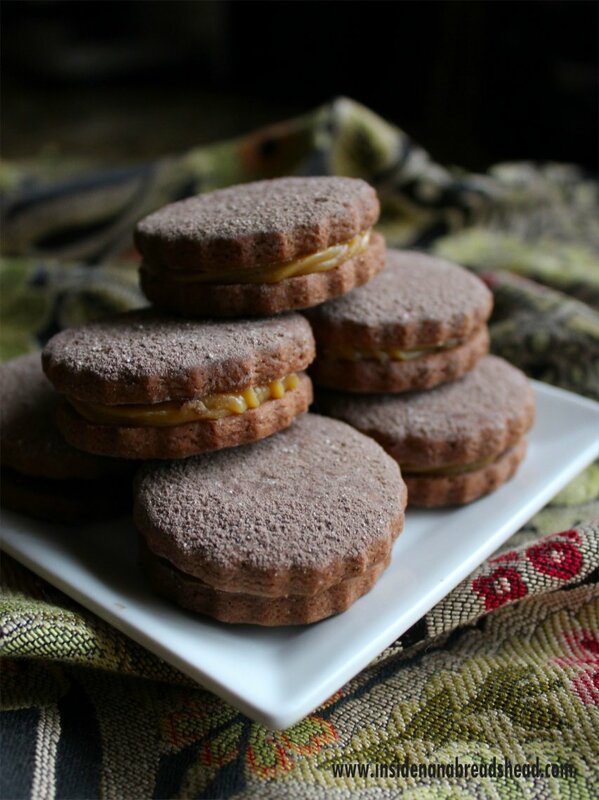 The vanilla pudding mix may seem odd, but my friend Beka put it in her peanut butter cookies for Sweets Week and they looked amazing, so I went for it. Using the paddle attachment (if you have a stand mixer), combine the peanut butter, cookie butter, brown sugar, dry pudding mix, eggs and vanilla extract until incorporated. Stop and scrape down the bowl, then turn the mixer to medium high and beat for 5 minutes more, or until the brown sugar is no longer gritty. Stop the mixer; add the cocoa, baking soda & salt. Beat until all dry ingredients are thoroughly blended. Stop the mixer and check your cookie batter. It may seem a little dry, but should hold together when you pinch it into a ball. Remove the beater and pour the dough out onto your work surface. I dumped mine onto a sheet of waxed paper, forming a line of dough about 18″ long. 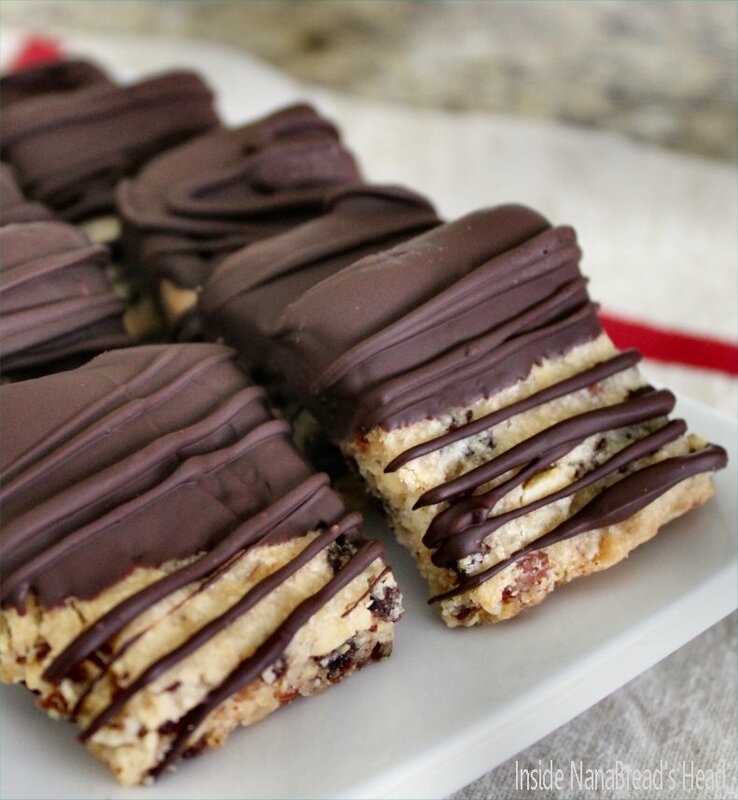 Using your hands, smash the cookie dough into an even log and wrap it in the waxed paper. Secure each end by twisting; you can secure it with a chip clip or rubber band. Once wrapped, roll the cookie dough log as if it’s a rolling-pin, making sure the entire roll is uniform in circumference. 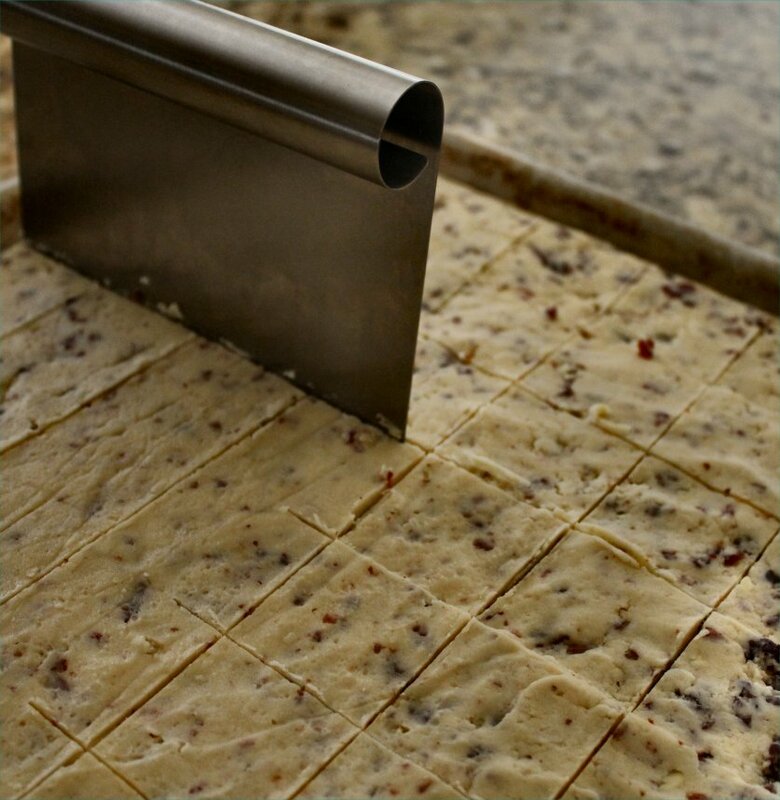 Pop the roll of cookie dough into the fridge for 1 hour or freezer for 30 minutes to make it easier to slice. Once chilled, remove from the fridge or freezer and pre-heat your oven to 350F. 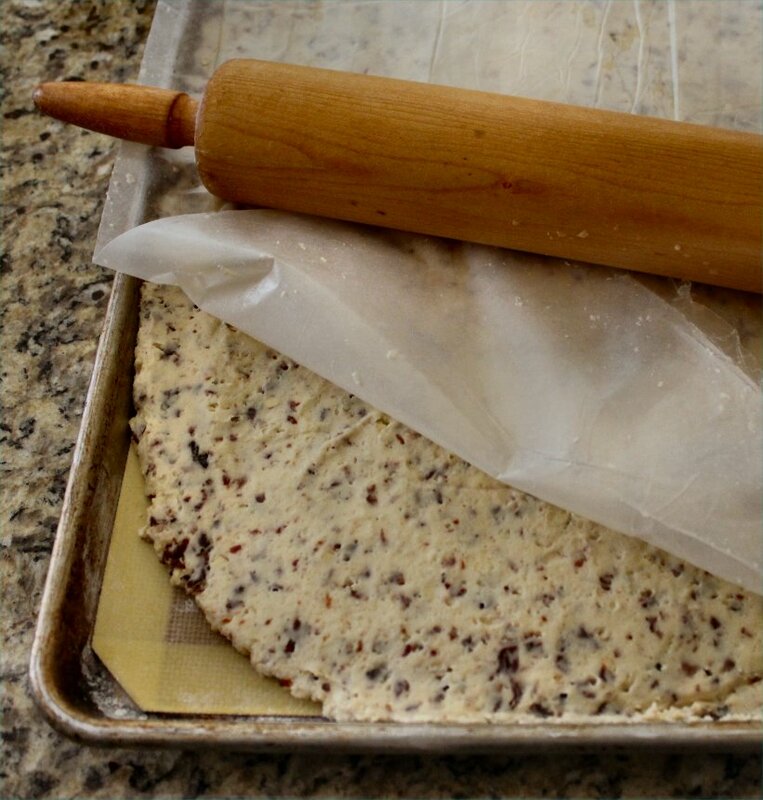 Using a sharp knife, cut the roll of dough into 1/2″ slices. Note: I like my cookies thick and chewy. If you like yours thin & crispy, slice them thinner. If you intend to glaze yours like I did, leave them in smooth slices. 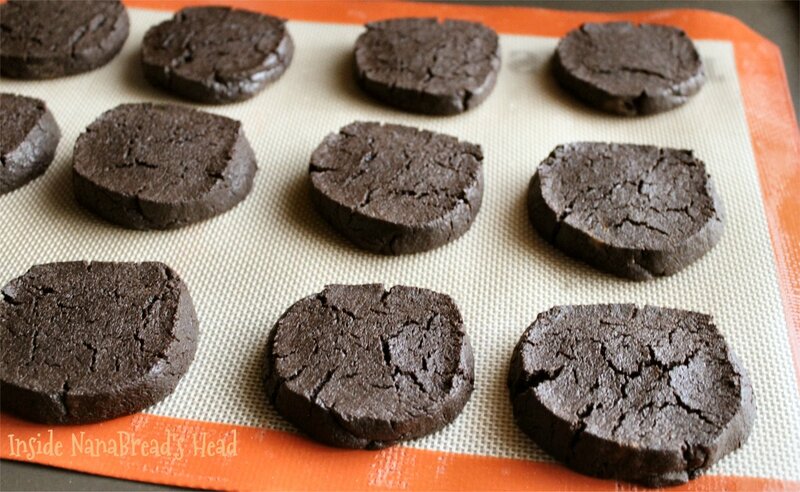 If you’d like to skip the glaze and eat them plain, you can use a fork to make traditional hash marks on the top of each cookie. To glaze or not to glaze? That is the question. 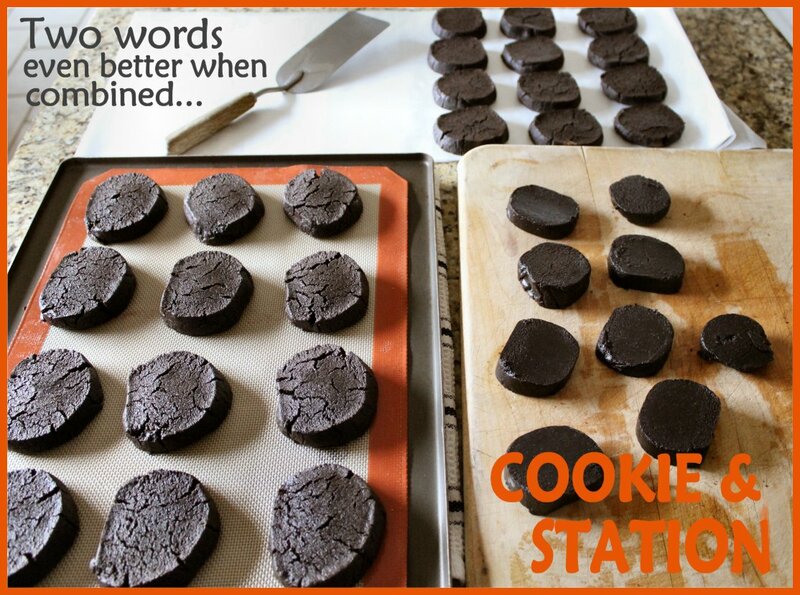 Lining your cookie sheets with parchment or Silpat mats; place cookies 1″ apart. Pop them into the oven while the dough is still very cold and bake for 10-14 minutes depending on how crispy you want them to be. As I said, I like mine thick & chewy, so I baked each batch for 12 minutes. They were still soft in the center and just beginning to crack around the edges like so. If you like them thin & crispy, watch them starting at 10 minutes, and check often so they don’t burn. Can I just take a minute to say that one of my favorite things about baking cookies is when I have them all out on the counter, in all stages of ‘in progress’. There’s something about seeing them out there, with all the steps visible, that makes me feel like I’m accomplishing something. Remove from the oven and allow to cool on the cookie sheets for at least 5-10 minutes before moving them onto sheets of parchment to cool completely. Because these are flourless, they are more fragile when warm. Move them too soon, and they may crumble. Now – glaze or no glaze? I vote glaze! Place the peanut butter in a microwave safe bowl and heat on high power for 30 seconds to soften it. Sift in the powdered sugar and whisk until incorporated; add the chocolate syrup and whisk until smooth. If it gets too thick too quickly, pop it back in the microwave for another 30 seconds. At this point, it will be too thick to pipe, so add 1 tablespoon of milk at a time until the mixture is glossy and the texture of a thick caramel sauce. I like to put a quart freezer bag into a drinking glass (folding the top over the edge of the glass) and scrape the glaze into the bag using a spatula. To glaze the cookies, press the air out of the bag and twist the bag to press the glaze into one corner. Snip the tip off the corner and pipe immediately onto the cookies. Allow them to sit for 1-2 hours, until the glaze is firm to the touch. Store in airtight containers. Kept in the fridge, they should last up to 2 weeks; un-refrigerated, they should be good for 5-6 days (if they last that long). 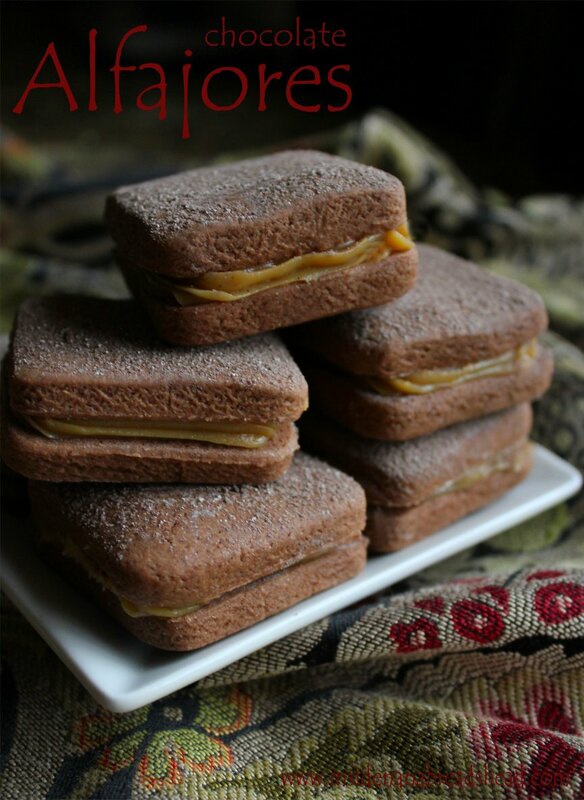 If you’ve got a cup of coffee or a glass of milk, these will be all kinds of dangerous. PS: These are for our annual ‘ladies only’ spring fling weekend, Hoegarden. I’ll get back to you next week and let you know how these went over, if I survive it. Want to find out more? Click on ‘Hoegarden Weekends’ on the right sidebar under Tidbits You Can Choose From. We are THAT family. No apologies. None. PPS: If peanut butter is a no-no in your house due to allergies, you might try swapping Sun Butter for peanut butter. My friend Kisten does it often, and she swears by it. And I would give Kirsten a kidney, so if I can trust her so can you.